GERD stands for Gastrointestinal Reflux Disease. It is commonly known as heartburn, or simply Reflux. It happens when acid or bile from the stomach squirts upward into the esophagus and irritates the area. Sometimes it can reach the back of the mouth or vocal cords. The acid or bile causes pain and irritation. Medications are available to give pain relief, but they do nothing to stop the problem. Some patients will eventually develop cancer in their esophagus. It happens because of the chronic irritation and acid exposure. According to the American Cancer Society 40% of the esophageal adenocarcinomas in the United States occur in morbidly obese patients. Morbidly obese patients commonly experience GERD. Extra pressure within the belly causes pressure on the stomach and helps the fluid squirt upward to the esophagus where there is less pressure. When you cough, sneeze, or push to have a bowel movement, the added abdominal pressure can cause reflux. After weight loss with Bariatric surgery, that pressure is eliminated and reflux resolves. An additional aggravating cause of GERD is a hiatal hernia. Many people have a hiatal hernia but do not know it. It happens when your stomach pushes up through the muscles of the diaphragm into the lower chest. When this happens, reflux of the stomach contents upward becomes much easier and more common. Hiatus hernia is able to be identified with a combination of endoscopy and x ray studies. At the NJ Bariatric Institute, we find a hiatus hernia in approximately 30% of our weight loss surgery patients. When we find it, we repair it. We return to stomach to its normal position within the abdomen and repair the diaphragm restoring the normal anatomy. We then will move forward to perform the intended Bariatric procedure. 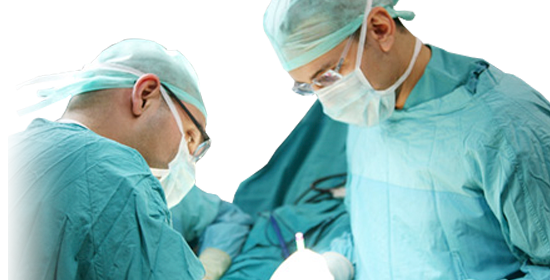 Thankfully, there does not appear to be any additional risk to healing, or changes in the expected post procedure course of any of the commonly performed procedures if the hiatus hernia repair is completed at the same time. GERD also happens in patients of normal weight. They too can have hiatal hernias. Our surgeons are experts in all types of laparoscopy and do “Anti Reflux Surgery” procedures which are not associated with weight loss. Under this circumstance, the stomach is returned to the abdomen, the diaphragm is repaired, and then the stomach is partially wrapped around itself to stop the problem. In most cases this is a same day procedure. There is little associated pain or lost time from work and most patients no longer need their reflux medications. If you have GERD, ask your regular doctor about the risks of long term medication use, possible chronic esophageal changes including cancer, and the possibility of surgery. You will be glad that you did. If you think you have GERD or a hiatal hernia and need to be evaluated, just call. We will arrange for you to be evaluated by one of our specialists.